HomeAttorney LawShould I Hire an Accident Attorney? If you or a loved one has recently been in an automobile accident in which you sustained personal injury or property damage, you may be wondering if you should hire an attorney. But the answer is not always as simple as “yes” or “no”. In most cases, unless you or someone else was injured in the accident, it is probably not necessary to retain an attorney. However, there are other cases in which a lawyer is needed even if no one suffered injuries. In those cases, here is what your next course of action should be. If you were injured in a car accident, it is best to speak to your accident attorney in Pennsylvania right away. It is also crucial that you seek immediate medical attention for any injuries you sustained, even if they seem minor at the time. After that, you or your lawyer will need to contact your insurance company to get the process started to speed up the process. Your insurance company will review your police report, medical records, and any other documentation presented. If your vehicle is damaged badly enough not to be driveable, it will likely be towed from the scene of the accident. Your insurance company will send an insurance adjuster to assess damages and decide on compensation. If your vehicle is still driveable but needs some repairs, it’s a good idea to check on any available warranties that might cover some of the damage. Most vehicles have limited warranties that cover certain mechanics up to a certain amount of miles. For example, your pickup may come with an extended powertrain warranty. 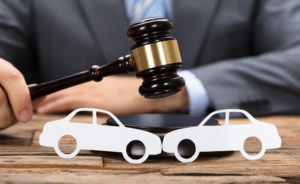 Whatever damage that insurance does not cover, including deductibles, is an amount that you may be able to sue the at-fault driver’s insurance company for. Speaking with an attorney will prepare you for cases where your insurance might be unwilling to give you proper coverage. Insurance companies have their own teams of lawyers reviewing your claims from day one, so it’s important for you to know your rights and have someone on your side. Keep in mind that if you are found to be at fault or even partially at fault for the accident, the amount of compensation you can ask for is probably limited. But you will likely be advised to file a lawsuit when your attorney can’t reach an adequate agreement on a settlement amount, or if negotiations have come to a halt. If you sustained an injury in an accident that wasn’t your fault, a fair settlement should be an amount that covers all your expenses. This includes property damage, medical expenses, and pain and suffering. Compensation for pain and suffering is determined by the judge — he or she will take into consideration your diagnosis, the type of treatment you receive, the duration of the treatment, severity of the crash, and any pre-existing conditions you might have. You can usually expect to receive about three times the cost of your medical expenses to cover pain and suffering. Again, if you are found to be partially at fault, the amount of your compensation will be reduced. Understanding your rights and limitations in a car accident can help you know how to proceed if you’ve sustained personal injury or property damage. If you’re unsure of your next steps, it’s always best to go ahead and contact your attorney for advice and legal assistance.